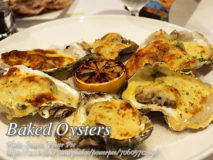 These delicious oysters are baked with butter, cheese, garlic and pepper. Oysters are tasty depending on people who eats it and how it is cooked. 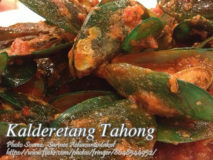 When..
Another version of caldereta is the kalderetang tahong. 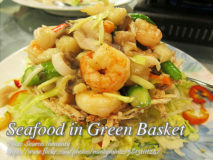 Since the main ingredient is seafood, it is a quick cooking dish. 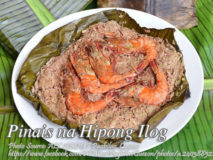 And to speed up the..
Balao-balao or burong hipon is made from fermented rice and shrimp use as dipping sauce for grilled, roasted or fried fish and vegetables like okra or.. This dish is a seafood mix of shrimp, fish fillet, scallops with vegetables such as snow peas and cashew nuts. It is then filled in a.. This is a native delicacy which is probably from the province of Quezon. 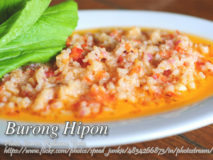 It is made of fresh water shrimps combined with grated young coconut,..